Louis Lombardi plays Turtle’s cousin Ronnie, the man with a thousand business ideas, in three different episodes of Entourage. 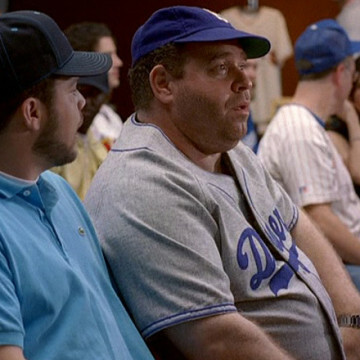 He drags Turtle and Drama to an auction during S04E06 with the lead on a collectible baseball jersey and makes his final appearance during S06E03 when Turtle seeks funding for his all-female limo business. Though Turtle thinks very highly of his cousin, the other characters paint Ronnie as a man with a week moral compass and poor money management skills.